2014 is the year that Simon and I are trying to be very careful with our money so we can start saving for our future. We've made a damn good start so far but this has meant that I've had to be pretty careful round the shops, especially Primark where, for some reason, I always seem to find an armful of things and even though you can find yourself fantastic bargains if you're not careful you can end up spending far more than you bargained for as you forget to check prices before heading to the till. After last week's disappointing look round the shops in the Metrocentre I decided to head into Primark on Northumberland Street after my hair appointment and knowing that I'd inevitably find things I'd want I set myself a strict budget of just £20.00. So ... how much can a girl get in Primark with £20.00 ... and is it really possible for me to stick to the budget? I began my trip by desperately trying to find some really cute Summer shoes that I'd spotted on Laura's blog here. I hardly ever buy shoes from Primark because they always look so flimsy I'm sure you could never wear them in the rain. But I fell in love with these as soon as I saw them so really wanted to check them out. Unfortunately despite having the second largest Primark store in the country I couldn't find them anywhere even though I walked up and down the shoe section 4 times. Unfortunately this now means that I'm going to be obsessed with them until I manage to track them down. Looking on the bright side, the good thing about not being able to find the shoes meant that I still had £20 in my purse. It wasn't long before the dresses caught my eye, I absolutely love dresses and now that March is here it seems like a good excuse to start lusting over pretty floral tea dresses again. I tried not to have too much of a hunt around as I had a small amount to spend so headed straight into the changing rooms with this one as it had immediately called out to me. Unfortunately as I was posing about the changing rooms taking a selfie for Instagram someone came storming into my cubicle thinking it was available, bit of a CRINGE moment but I'm just thankful I wasn't stood in my underwear! 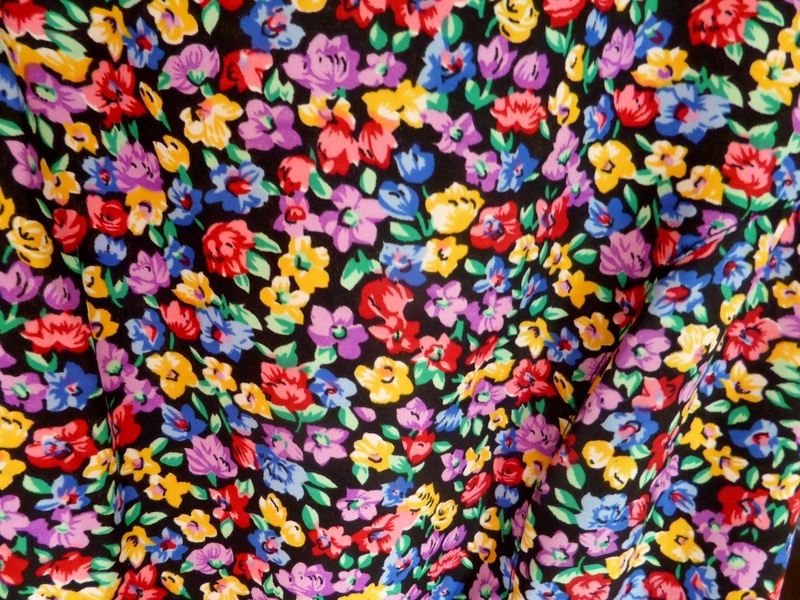 I love this dress so much, and the bright flowers on a dark background means I can still chuck on some nice thick warm black tights and chunky boots to keep me warm. 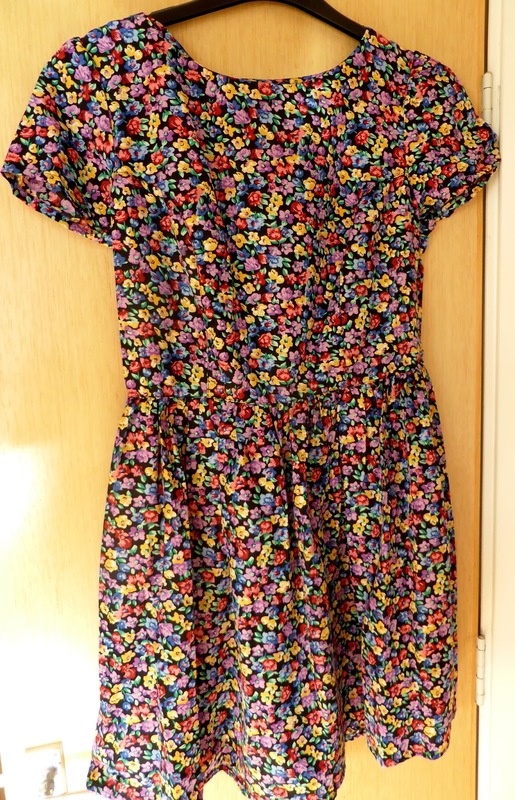 This dress was only £8.00 so there was no way I could resist. Next I had a look at the tights. I've heard good things about the "Super Cosy" range so decided to give them a go. 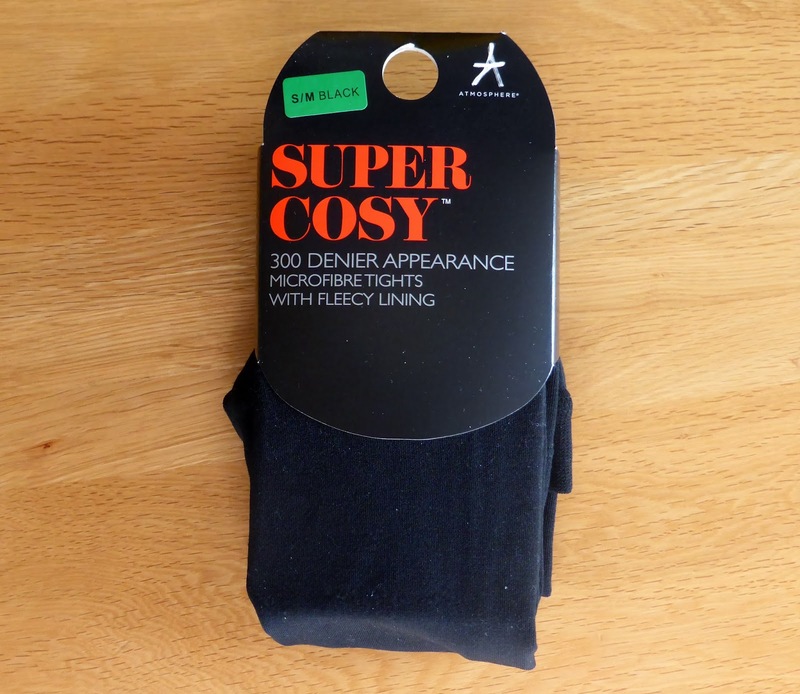 They're 300 denier and have a fleecy lining which sounded ideal as I'm always feeling cold. They're so thick that when you pull them out of the pack they look almost like leggings. I wasn't sure what size to go for as the only sizes I could find were S/M or L/XL - I was looking for a M/L just because I'm tall with a bit of a tummy and like the added security of pulling my tights up as high as Simon Cowell's trousers. Luckily this size seemed to do the trick, they were a good fit and felt comfortable. Having not tried Primark tights before I was impressed at their quality and having put them through the wash they are still looking good. These were £3.50. 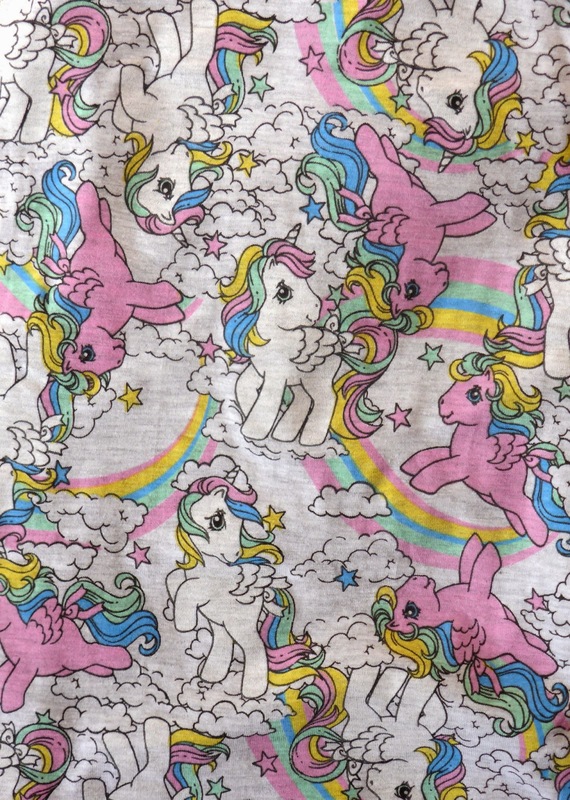 Lastly I had to go and have a look at the PJs. I'm loving the 80s and 90s throwbacks at the moment and no one does it better than Primark. 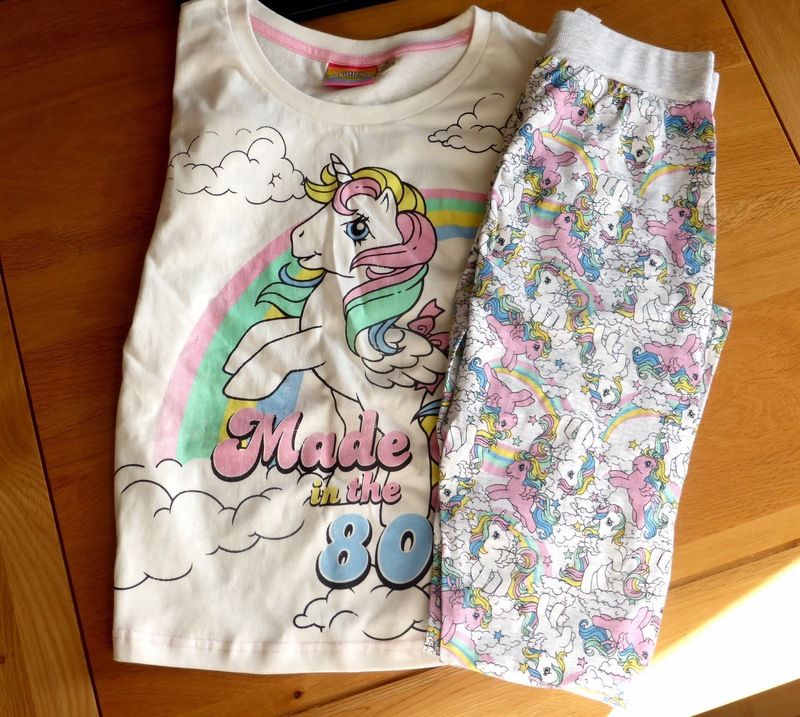 After resisting both the Cookie Monster and Clueless PJs there was no way I was leaving the store without the My Little Pony "Made in the 80s" set, finding them was just as exciting as last year's Care Bear PJs. The set is sold separately, with the comfy legging style bottoms at £8.00 and the t-shirt at £5.00. So those of you that can do maths have now realised that I did spend slightly over my £20.00, but only by a little so I'm pretty impressed with myself. Now allowing myself a proper look has meant that I do want to go back soon but I'll cross that bridge when I get to it!